Yokohama--Nissan has unveiled the Nissan LEAF e+, further broadening the appeal of the world’s best-selling electric car by offering a new powertrain with additional power and range. More than 380,000 Nissan LEAF vehicles have been sold globally since the 100% electric model first went on sale in 2010. Equipped with advanced technologies including the ProPILOT*2 semi-autonomous driving system and e-Pedal mode for one-pedal driving, the Nissan LEAF embodies Nissan Intelligent Mobility, the company’s vision for changing how cars are powered, driven and integrated into society. 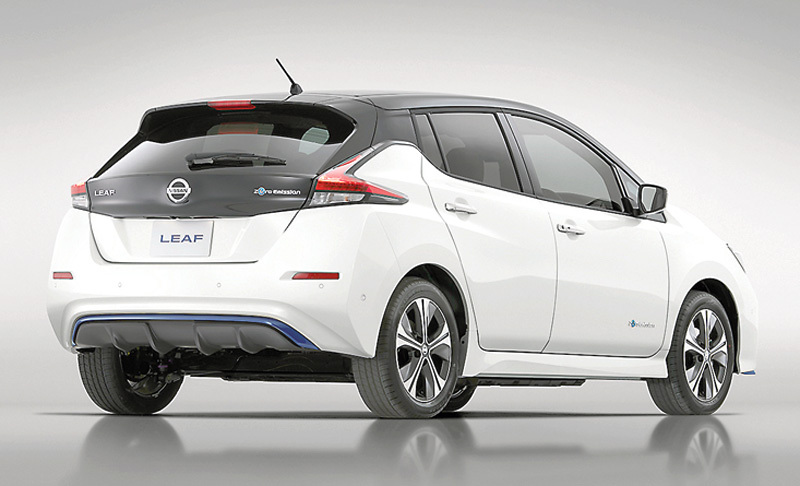 Nissan LEAF e+ boasts enhanced powertrain. Having pioneered mass-market electric cars with the Nissan LEAF, Nissan says it is continuing to promote alternative vehicle transportation. The Nissan LEAF plays a vital role in Nissan’s efforts to integrate electric vehicles and energy systems into customers’ lives – creating an “EV ecosystem.” Among these efforts is Nissan Energy, the company’s initiative for its electric vehicles to easily connect with energy systems to charge their batteries, power homes and businesses, or feed energy back to power grids, as well as new efforts to reuse batteries. Playing a leading role in Nissan Intelligent Driving is ProPILOT, an in-lane semi-autonomous driving technology that can automatically adjust the distance to the vehicle ahead, using a speed preset by the driver (between about 30 kph and 100 kph). ProPILOT can also help the driver steer and keep the vehicle centered in its lane. If the car in front stops, ProPILOT can automatically apply the brakes to bring the vehicle to a full halt if necessary. After coming to a full stop, the vehicle can remain in place even if the driver’s foot is off the brake. If traffic restarts, the car will resume driving when the driver touches the steering wheel-mounted ProPILOT switch again or lightly presses the accelerator to activate the system. All these functions can reduce stress when driving on the highway in both heavy and fast-moving traffic. ProPILOT Park (available on Japan and EU models only) is a system that can provide vehicle acceleration, braking, handling, shift changing and parking brake operation to guide the car into a parking spot.